(TibetanReview.net, Dec11, 2016) – India has on Dec 8 expressed willingness to help Mongolia as the landlocked country faces an effective trade blockade and loan negotiation freeze from China which seeks to punish it for having allowed Nov 2016 visit by the Dalai Lama who has a huge and deep following among the country Buddhist majority population. The Dalai Lama only asks China to truthfully implement its constitutional provision on autonomy for the ethnic region of Tibet but China insists he is a separatist to be shunned by all countries seeking to deal with it. “As a close friend of Mongolia, which regards India as its ‘third neighbor’ and ‘spiritual neighbor’, we are ready to work with Mongolian people in this time of their difficulty,” the Indian Express newspaper quoted Vikas Swarup, spokesman for India’s Ministry of External Affairs as saying. During his visit to Mongolia, the first by an Indian Prime Minister, in May 2015, Narendra Modi announced a $ 1 billion credit line for the deeply indebted landlocked country. “We are closely working with the Mongolian government to implement the credit line in a manner that is deemed beneficial to the friendly people of Mongolia by its leadership. We are aware of the difficult budgetary situation that Mongolia is facing due to various factors including high cost of servicing of debt raised by them in the past,” Swarup was quoted as saying. The newspaper said India was proactively seeking to reclaim its Buddhist legacy from China, with the Dalai Lama forming an important element of it. It had sent Kushak Bakula, a Buddhist monk from Ladakh, as ambassador to Mongolia in the 1990s. He set up a school for Buddhism in the country and sent new Monks to India to study Buddhism in Tibetan Monasteries. 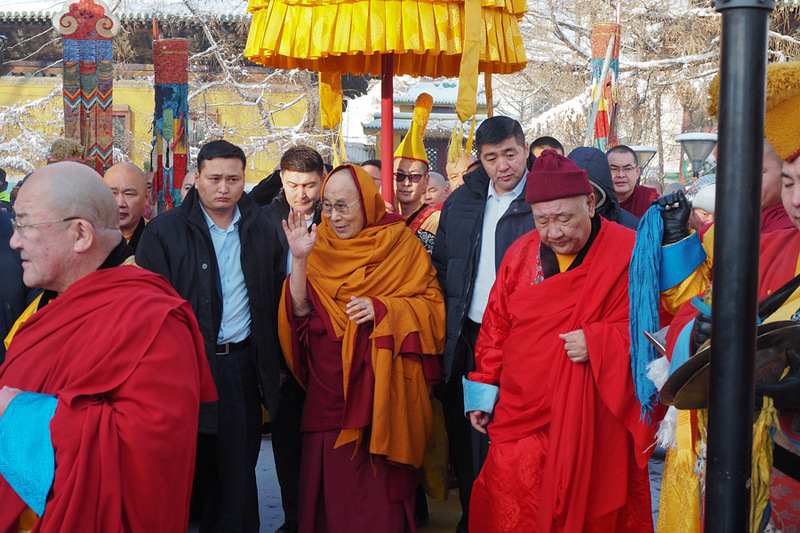 Following the Dalai Lama’s visit to Ulaanbaatar, China put a freeze on a $ 4.2 billion loan negotiation with Mongolia which is in a deep economic recession. Beijing also cut off diplomatic exchanges with Mongolia while demanding that it rectify its Dalai Lama mistake. It later imposed and increased taxes on Mongolian exports to China, leading to effective closure of a key border crossing and creating a huge congestion. As a result, Rio Tinto, which operates vast copper and gold mines, was reported to have suspended shipment to China of copper concentrate.